TX Top Docs has reviewed and approved Michael W. Burris, MD for 2018. Michael W. Burris,, MD is focused on treating ACL tears and learning the latest techniques in ACL surgery and reconstruction to restore mobility to those with knee injuries.. At this time, he also assisted in taking care of multiple collegiate athletic programs including the University of Kentucky Wildcats. 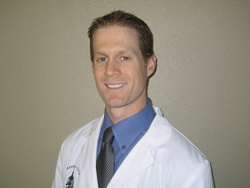 Dr. Michael W. Burris of Capital City Orthopaedics has been reviewed and approved by TX Top Docs. Dr. Burris attended the University of Texas in Austin, graduating with honors from the McCombs School of Business while completing his premedical curriculum. This was followed by obtaining a medical degree from the University of Texas Health Science Center in Houston where he also completed a five year residency in orthopedic surgery, serving as chief resident in 2005-2006. Dr. Burris gained extensive experience in orthopedic trauma and reconstructive surgery while training at a busy Level I Trauma center within the Houston Medical Center. After the trauma center, Dr. Burris continued his training by obtaining a sub-specialty fellowship in Sports Medicine at the University of Kentucky. This fellowship involved significant training in arthroscopic surgery of the shoulder and knee as well as complex knee ligament surgery. Currently, Dr. Burris is a Fellow of the American Academy of Orthopaedic Surgeons (AAOS) and runs his practice, Capital City Orthopedics in Austin, Texas. TX Top Docs is a comprehensive, trusted and exclusive healthcare resource featuring reviewed and approved Top Doctors and Dentists in Texas online in an easy to use format. TX Top Docs only reviews and approves providers based on merit after they have been extensively vetted. TX Top Docs is a division of USA Top Docs which allows patients to meet providers online before making their appointment. For more information, e-mail us at info(at)TXTopDocs.com and/or visit http://www.TXTopDocs.com.